A University of Adelaide team has created an ingenious water treatment system that allows communities in developing countries to produce safe drinking water with little more than sunshine and chip packets. There is no substance more synonymous with the sustainment of life than water. Yet, in the wrong conditions, with unchecked exposure to microbial pathogens, it can just as easily take life away. 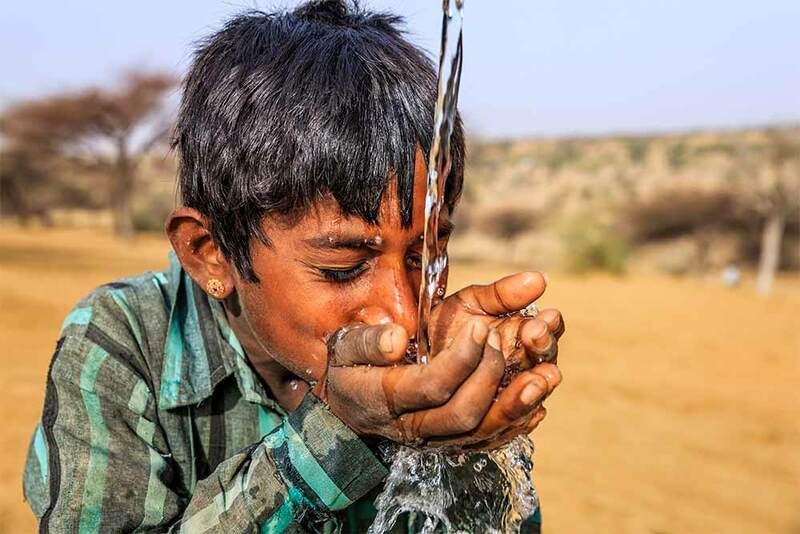 Worldwide, over 663 million people still do not have access to safe, treated water. Tragically, this results in more than 1.5 million deaths each year, most being children under the age of five. The problem isn’t lack of knowledge. Scientists have known how to make water potable for decades. The difficulty lies in applying this knowledge simply and affordably in less developed, or remote areas. A team of innovative University of Adelaide mechanical engineering students and researchers, however, has found a way. In 2014 the team, led by School of Mechanical Engineering Lecturer Dr Cris Birzer, developed the world’s first affordable continuous-flow solar disinfection (SODIS) water treatment system; able to produce over 8L of potable water per hour (during daylight), using freely available sunshine, and easily assembled scrap or low-cost materials. Now, following extensive field testing in Papua New Guinea (PNG) through not-for-profit organisation ChildFund Australia, it has finalised designs for mass-produced variants and is ready to distribute them globally. The research group originally designed and tested a workshop-quality manufactured system to perfect the process, then adapted this—following extensive consultation with ChildFund about local PNG conditions—to create a viable rudimentary version. The pared-down system used nothing more than plywood, a glass tube and plastic sheeting coated with metallised plastic, curved to reflect sunlight onto the tube as water passes through it. UVA radiation in the sunlight produces reactive oxygen species in the water, which damages the DNA of pathogens and deactivates them to World Health Organisation standards. According to Dr Birzer, the metallised plastic reflectant can even take the form of something as humble as discarded chip packets. “The students trialled various reflectants and found the inside of crisp packets was as good as anything. Dr Birzer says the project, which won the students involved a Sustainable Engineering Society National Student Environmental Engineering and Sustainability Award, may now lead to new research in the field of UVA radiation and plasma treatment of water for pathogen irradication. This entry was posted in Humanitarian, Societal Wellbeing, Water. Bookmark the permalink.